If Meimoirs were given a chance to wander in the realms of amigurumi, she would be Mei-chan – all fluffed up for some kawaii fun! Mei-chan is a marshmallow-pink fuzzy fox. On her head is none other than a grey fuwa fuwa (fluffy) Totoro hat! Totoro is a large forest creature that live on acorns and plays the ocarina on moonlit nights. The character first appeared in My Neighbour Totoro, a delightful 1988 anime by Japanese manga artist and acclaimed filmmaker Hayao Miyazaki, who co-founded the animation powerhouse, Studio Ghibli. 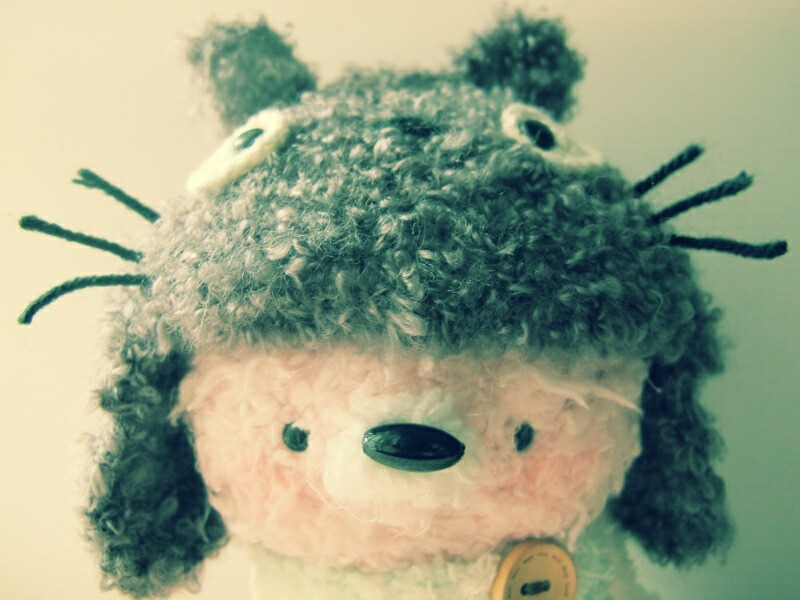 Mei-Chan is the first of many in amiguruMEI’s Makura Atama (Pillow Head) series. She snacks on mochi and cream puffs, and is known to be a fan of boba tea. I wish to visit the Studio Ghibli Museum in Mitaka, Japan one day!